Combine two traditional units into one super-sweet Charmer quilt block! Dear Stella fabrics keep the cuteness going with perfectly pink prints—in shades from pale to punchy! 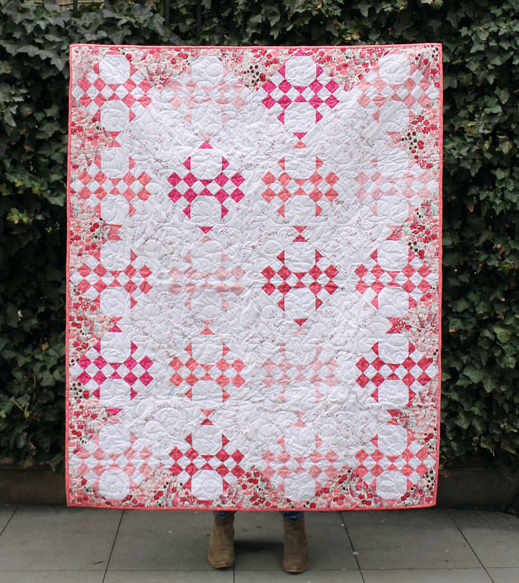 This Charmer Quilt Designed by Anneliese Johnson for Dearstelladesign.